Poet and teacher Taylor Mali. Taylor Mali uses the skills of a teacher to keep us awake and make us pay attention. “The art that allows you to rewrite history”…that’s poetry. It perhaps started with “What Teachers Make” but the voice is there in many teachers. He is proud to be the teacher poet. Emerging from the slam poetry or performance poetry movement which has made poetry entertaining as well as profound, Taylor Mali is a hit! It is with respect that we publish this page. Respect for a good poet and respect for our teachers. 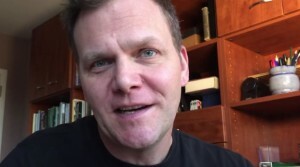 Taylor Mali "Why Falling in Love is Like Owning a Dog"
Taylor Mali performs "Undivided Attention"
SlamNation - Taylor Mali - "Like Totally Whatever"
SlamNation - Taylor Mali - "I Could Be A Poet"
Taylor Mali on "What Teachers Make"
206. Taylor Mali - "Like Lily Like Wilson"